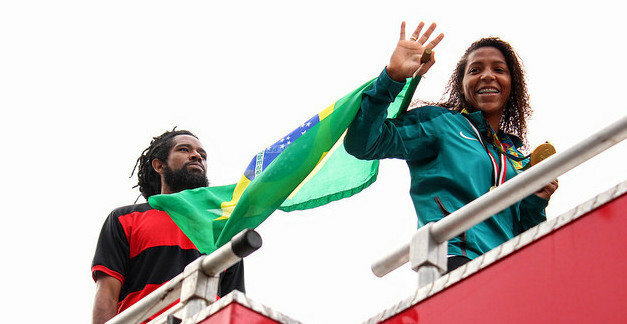 On Monday August 22, 24-year old Rafaela Silva returned home to City of God with Brazil’s first gold medal from the 2016 Olympic Games in hand. Her return visit and parade through the City of God favela in Rio de Janeiro’s West Zone began at the social project, Lutadores de Cristo, or Fighters of Christ, where she was welcomed by about 200 people including youth that practice jiu jitsu there, community leaders, residents, and press. 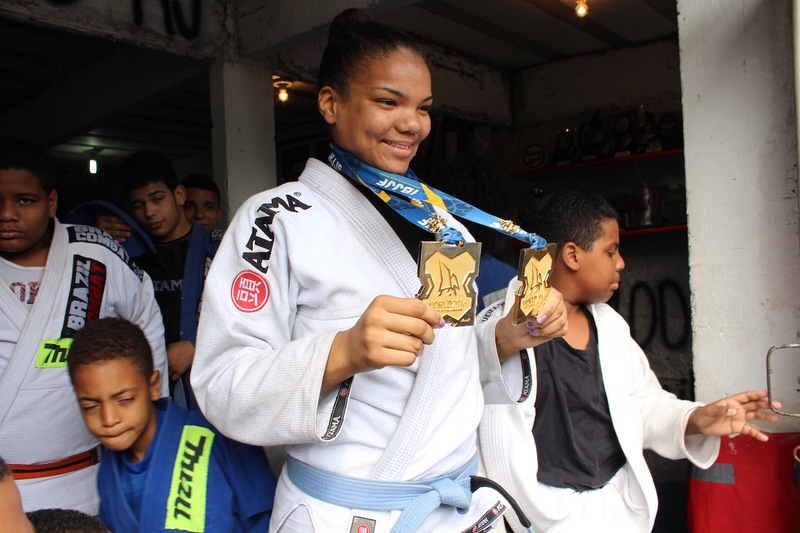 At the jiu jitsu studio that afternoon, awaiting the arrival of Silva, was Gabi Pessanha, a 14-year old from City of God who won two medals at the 2016 International Brazilian Jiu Jitsu Federation’s World Championships held in Los Angeles in June. Pessanha raised her own money to travel to and compete in Los Angeles by selling snacks throughout the city. She says she looks up to Rafaela Silva: “She’s a girl from the favela, nobody gave her anything, and she realized a dream this way. She motivates me.” Silva met with Pessanha in the beginning of her visit and encouraged her to continue to pursue jiu jitsu. After being disqualified in the London 2012 Olympics for an illegal pinning down of her opponent, Rafaela Silva suffered a racist backlash on social media which almost succeeded in discouraging her from returning to judo altogether. 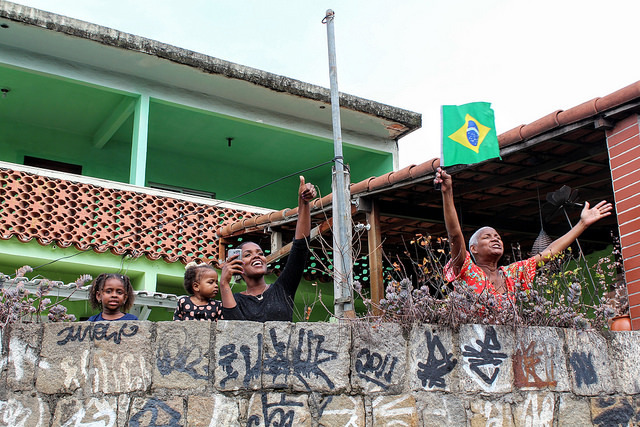 However Silva’s return on Monday firmly establishes her as a role model to youth living in the favela, especially young black girls such as Pessanha. Also at the Fighters of Christ jiu jitsu studio was president and founder of the organization, Josué Bronduinro. He’s pleased that Rafaela has shown the world and locals that City of God is not at its heart a violent, drug-ridden place, as perpetuated by mainstream news and film. “She is a reference for a neighborhood that is always labeled as having violence, prostitution, and drugs. We have someone, Rafaela Silva, an Olympic medalist, that is the fruit of a social project like this one and to be here, right now, with all of this visibility, is very good… City of God is a place of working people, determined people, and has many diverse talented people that are unknown. Rafaela is one of these greatly talented people, born and raised here in City of God,” said Bronduinro. Fighters of Christ provides 150 youth throughout City of God the opportunity to practice jiu jitsu with volunteer instructors completely for free, with the goal of keeping youth off the streets and expanding their worldview. 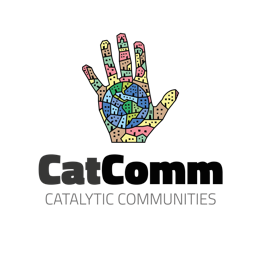 Fighters of Christ represents just one of many powerful community-based projects making a difference in City of God. 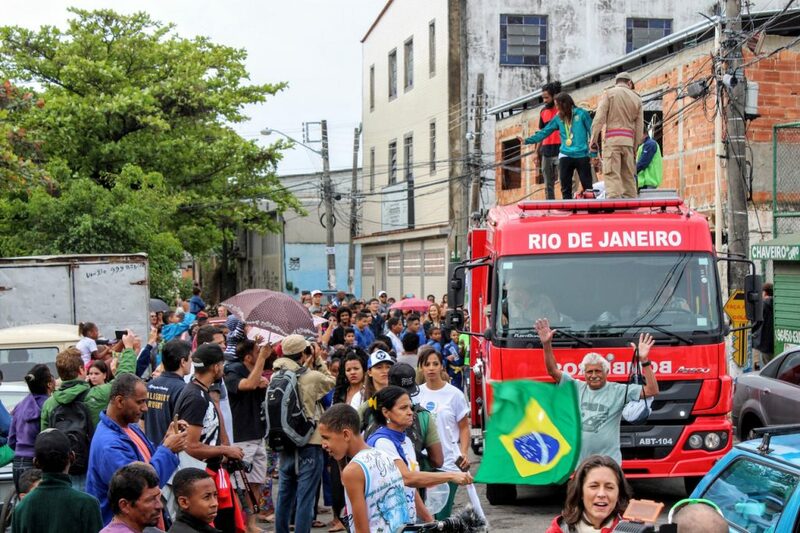 Following her visit to the Fighters of Christ jiu jitsu studio, Silva paraded through the streets of her community, waving to residents and locals from the top of a Rio de Janeiro city firetruck with a banner that read “Rafaela Silva, your victory is worth gold to the City of God, welcome!” Throughout the community people ran to wave and greet her as she and the procession of youth, parents, and other community members continued down the streets, in cars, bikes, and on foot. The procession ended at her parents’ home. During the procession, people chanted the lyrics of the Rap da Felicidade or “Happiness Rap,” a famous funk song that discusses striving for happiness and community pride and was written by two rappers from City of God. 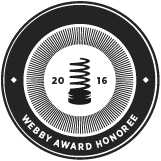 This article was written by Mariah Barber, and published on August 25, 2016.